We all know that dreaded feeling that comes over us when we accidentally delete an important file. However, if you haven't recently made a backup (shame on you!) there's no reason to panic if this happens. Hexamob, maker of Hexamob Recovery Pro, is here to lend you a helping hand with raising files from the dead. This app is an incredibly powerful tool to have on hand. Basically, it can recover deleted files from your phone or tablet's SD card, effectively comforting you after the loss of important data. Keep in mind that this only works if the data blocks used to store the file have not been overwritten since deletion, so your best bet would be to fire up this app right after something goes missing. As the screenshots above indicate (at the top), Hexamob makes the process as easy as possible with 5 simple steps that will put you on the road to recovery. Step 1: Choose your source. This will be the SD card your files were deleted from. 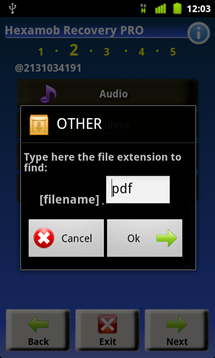 Step 2: Choose a file type. 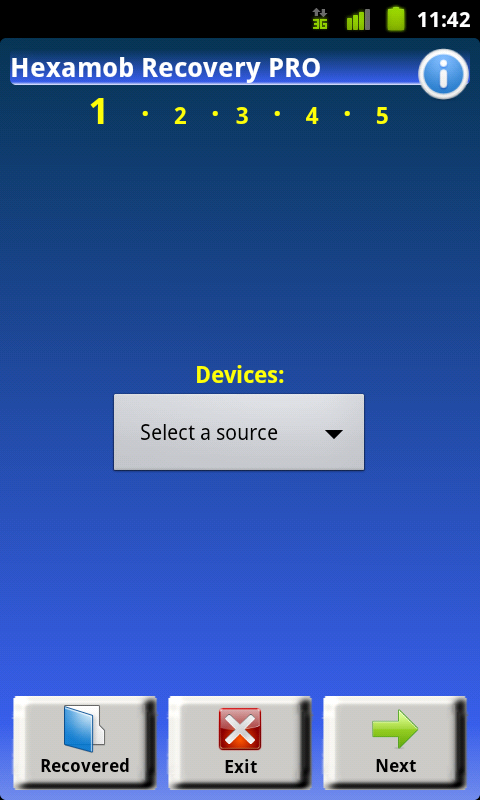 Tapping audio, for example, will pull up a window where you can select a particular audio file to search for. 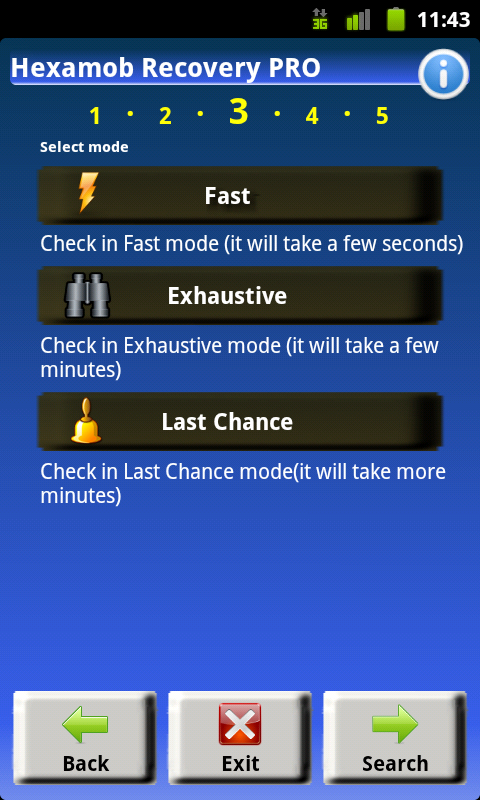 Step 3: Pick a mode - Fast, Exhaustive, or Last Chance. 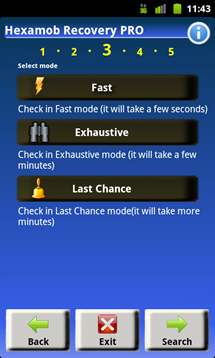 Exhaustive and Last Chance modes search much harder and take some extra time in doing so. Step 4: This is where the app does its magic. It'll scan the SD card and try its best to retrieve your deleted data. 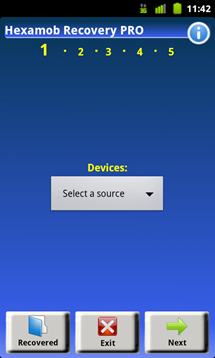 After it has found files that match your request, you can pick and choose which ones to restore. Step 5: This is the final moment. After you choose the deleted files to restore, Recovery Pro will attempt to bring them back to life. Be aware that it doesn't always work, but I had perfect results during my testing. Once the missing data is recovered, it will be waiting for you in a folder named "Recovered" (bet you didn't see that coming) on the app's homescreen. Alternatively, you can find these files on the root of your SD card under the same folder name. Naturally, I was curious about how effective this app truly is, so I tested it with nearly every file type possible. During these tests, it was able to handle and recover everything I threw at it. In testing the more intensive recovery modes (ie. Exhaustive and Last Chance), it was even able to pull up files I deleted some time ago, which is both really cool and a little alarming. Hexamob Recovery Pro is a great app to keep around for dire situations, and at just $1.28 on the Android Market, it's a steal. While the UI isn't all that visually appealing, it does exactly what it's supposed to, and does it well. The two features I find most valuable are the the search intensity options and the ability to search by file type - these make the whole process a little faster and easier. If you're in need of data recovery, this may be the app you're looking for. Hit up the link below to grab the pro version. Alternatively, you can check out the Lite version first.